So in my very first post I told you what was “in my bag” and now here is MY BAG! Made by Epiphanie. This bag does it all! 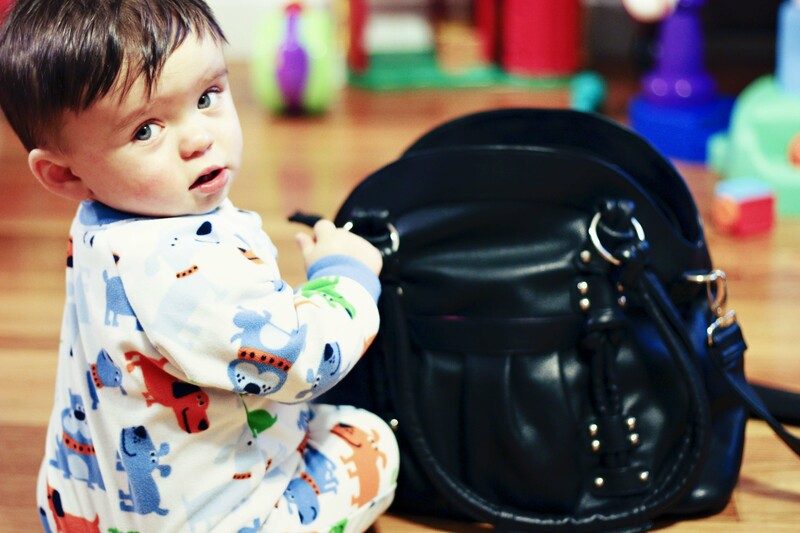 It holds my 3 lenses my Canon EOS 60D body and everything my son could need on an outing. It even holds a bottle up right! Epiphanie makes the most stylish bags I’ve personally seen. The quality is fabulous! The leather is so soft and the inside compartments are moveable! They velcro to the inside of bag so you arrange your gear the way you want. 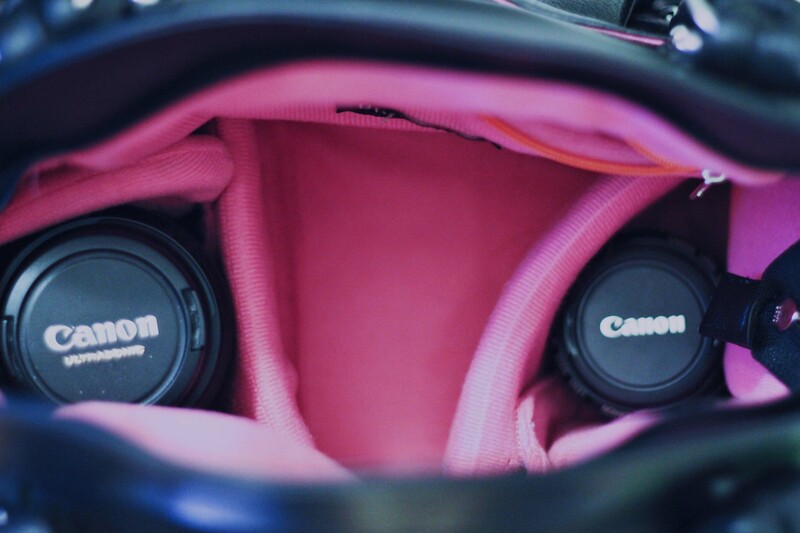 There are more compartments to the left and right of each of my lenses shown and zipper compartment on the inside. Lola really is her name and she comes in black, red and turquoise. And she has several sisters! Their names are Ginger, Belle, Clover and Paris. Paris and Clover are even more unique because they are designed to even carry a 15′ Macbook Pro with battery cord! These bags will run you from $164.99 – $184.99. But let me tell you they are more than worth it! You pay so much money for your gear so why not give it the home it deserves. And I have to say that the staff at Epiphanie is wonderful to deal with. The shipping and packaging is top notch! And they always have fabulous GENEROUS give-aways on Facebook and blogs. Keep on an eye here on my blog and when there is a give-away you know I will post it here and let you know where to go!